According to statistical data, colon cancer is the second most common type of cancer in both men and women. The disease affects 15-16% of all men with cancer and 13-14% of all women suffering from the disease. WebMD says that colon cancer is one of the most common types of cancer around the world, and the numbers are on the rise. The disease is becoming more and more common among young people in recent years. However, this type of cancer is not so common in Asia and Africa, which probably has something to do with these nations’ lifestyle and diet. 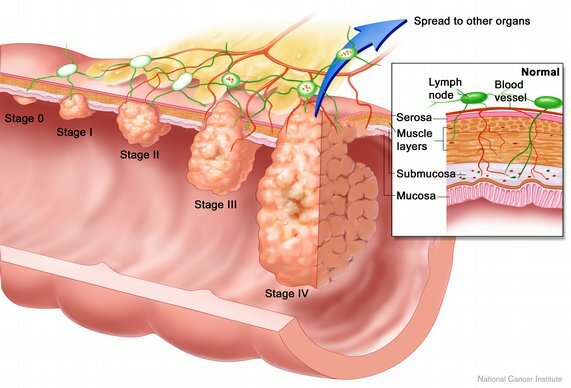 The risk of colon cancer increases over the age of 40, and 90% of all colon cancer cases occur in people over 50. Every person over 50 has a 5% increased risk of developing colon cancer by the age of 74, and 2.5% risk of dying from the disease. All of the food we eat and its components reach the colon after getting into the body. Some of these compounds are beneficial, but some of them are very harmful. Our increasingly sedentary lifestyle and diet based on processed foods and alcohol slows down the work of our intestines, which results in toxin accumulation that damages the mucosal lining of the gut. Over time, this may lead to the development of tumors and cancer. Colon cancer can also be caused by genetics or bacterial infections. In order to prevent this deadly disease, you should make sure you’re eating fiber-rich foods and avoid consuming animal fats. Avoid processed and red meat as well and maintain your weight.